I keep reading on many websites, blogs, forums that muscle weighs more than fat. That is just wrong. 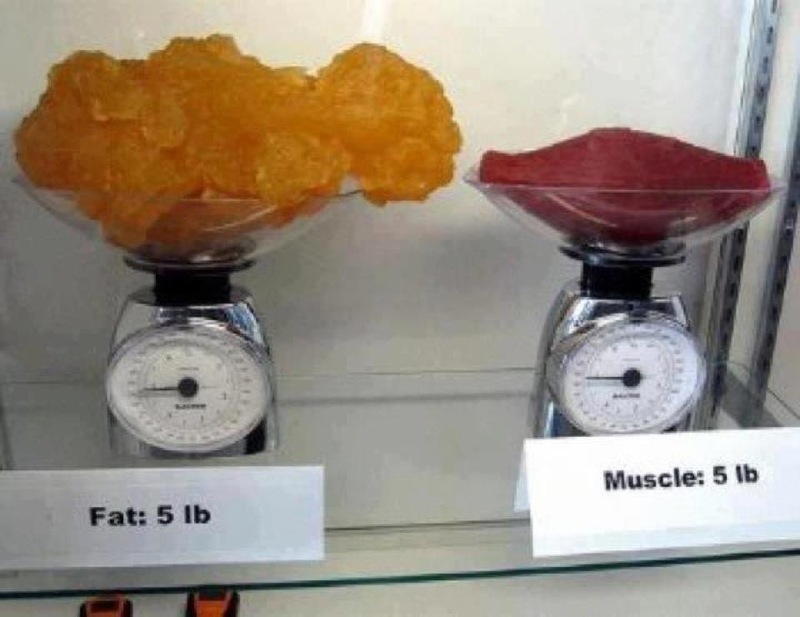 5 pounds of muscle weighs the same as 5 pounds of fat. Lean muscle however has a higher density than fat so a pound of muscle occupies less space than a pound of fat. Even though the scale might not change much remember that you might look thinner with an increase of muscle mass and decrease of body fat. Next time rather than stepping on the scale, take measurements and see how your clothes fit. Also one pound of muscle burns more calories than one pound of fat so the more muscles you have the more calories you burn. One Pound of Fat Versus One Pound of Muscle: Clearing up the Misconceptions explains is well.